Defense News has posted its annual list of the world’s top 100 defense companies for 2012. The same seven Russian firms appear on the list. But against the backdrop of a declining international defense market, the performance of Russian companies last year is interesting. They did fairly well, except for airplane makers. 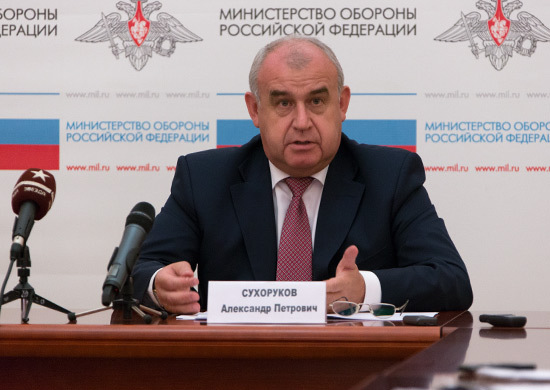 Almaz-Antey’s reported defense revenue rebounded strongly in 2012 – by 62 percent — to make it 14 overall. It moved up from 21 last year. Helicopters of Russia’s revenue jumped 32 percent to put it at 24. It was 44 last year. Sukhoy’s revenue was down 8 percent. But down less than others. With the market declining, it came in 43rd, up from 52nd last year. United Engine-building’s revenue increased nearly 50 percent to make it number 49, up from 55. Irkut’s revenue and position declined, more than 18 percent to make it 62 versus 53 a year ago. RTI Sistemy reported a 12 percent gain to be 80th instead of 100th last year. RSK MiG was down 17 percent and came in at 93rd. Here are the posts on 2011 and 2010. Sukhoy announced that its third PAK FA prototype conducted its first test flight today. Operating from KnAAPO’s factory runway, the aircraft flew for more than an hour. 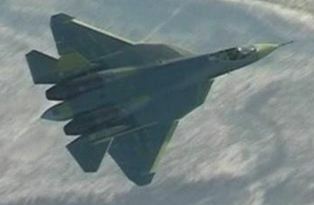 To run back a few milestones, the first PAK FA flew on January 29, 2010. A second prototype joined it in March of this year. PAK FA’s first public flight was August 17 at MAKS-2011. And Sukhoy says the PAK FA has completed more than 100 test flights to date. The hundredth flight apparently occurred early this month or in late October. On November 11, ARMS-TASS reported that the third prototype will test the onboard phased array radar (AFAR) system designed by the Tikhomirov NII of Instrument-building (NIIP). Nezavisimoye voyennoye obozreniye published the same news, citing a Sukhoy spokesman. In their excitement about new armaments, many observers have a hard time keeping book on the latest weapons, forcing yours truly to follow a few important systems like the Su-35S. Some even say the Su-35S is already in the inventory, but a close look at press reporting shows otherwise. The media reported the first series production Su-35S flew at KnAAPO in Komsomolsk-na-Amure yesterday. After these factory trials, this aircraft will be delivered to the Defense Ministry. Sukhoy has successfully completed preliminary testing on the Su-35S prototype. Preliminary testing confirmed that its on-board systems meet technical requirements, checked its reliability and controllability, its engines, and navigation system. Now recall that late last August Sukhoy said the Su-35S was completing preliminary testing and would start state testing in the fall. Fall has become the following spring, and Sukhoy announces again that the Su-35S is ready to start GSI. The Russians advertise the Su-35S as a 4++ generation fighter, using fifth generation technologies to give it an advantage over similar aircraft. So VPK suggests some think the Su-35S should be a primary fighter rather than just a gap filler for PAK FA.